We’ve had a cold snap. 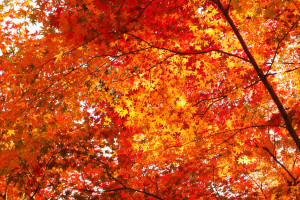 The tree leaves are turn­ing almost a bright red. (Some years they are more yel­low, oth­ers a dingy brown.) It’s warmer than it has been for days. Who wants to sit inside to write? Any­body? Hands raised? Ummm. Okay, let’s stroll out­side in the autumn sun­shine. It will be win­ter soon.